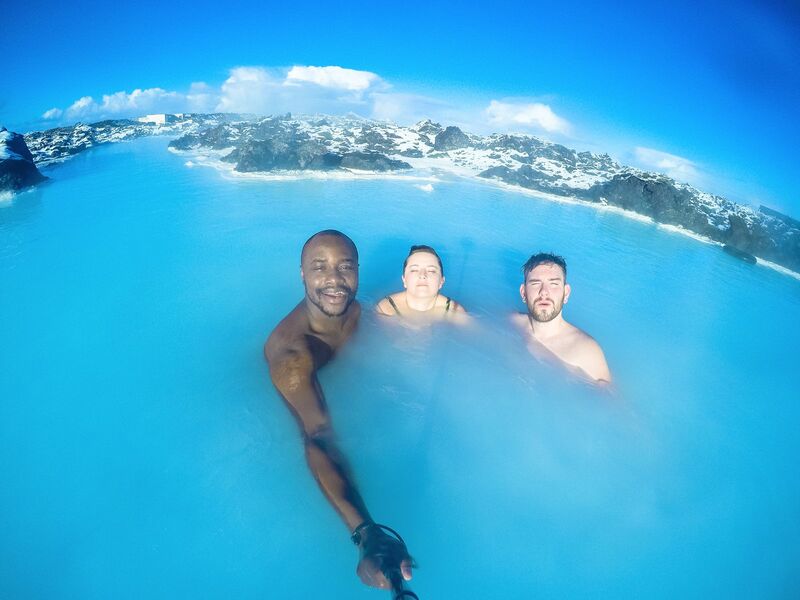 The thing about Iceland is that it’s so diverse. Yes, you’ve got all the incredible nature, awe-inspiring vistas and the Blue Lagoon – but there’s so much more to Iceland than just it’s gorgeous natural landscapes. There really is a whole heap of the best towns in Iceland… all with their own heritage, stories and stunning natural landscapes that surround them. 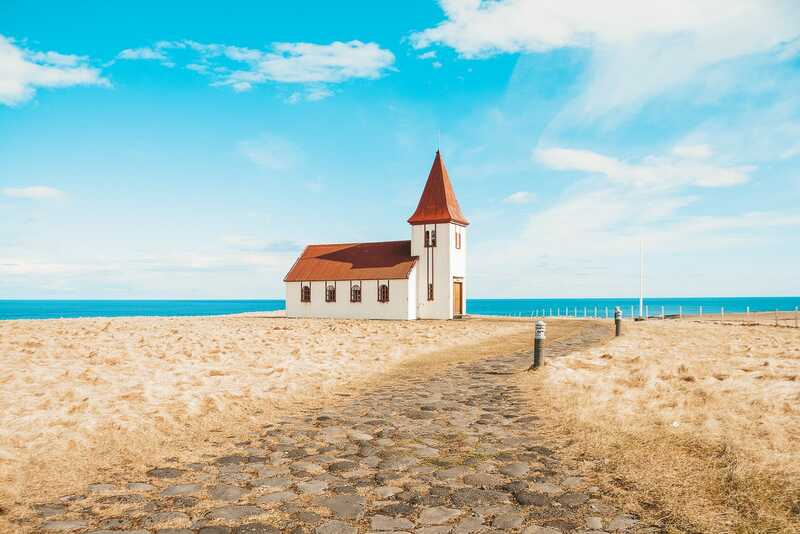 It’s likely you’ll start your journey at Keflavik Airport (about 30 minutes from the capital) and head out across Iceland stopping off at all the stunning spots that Iceland has. 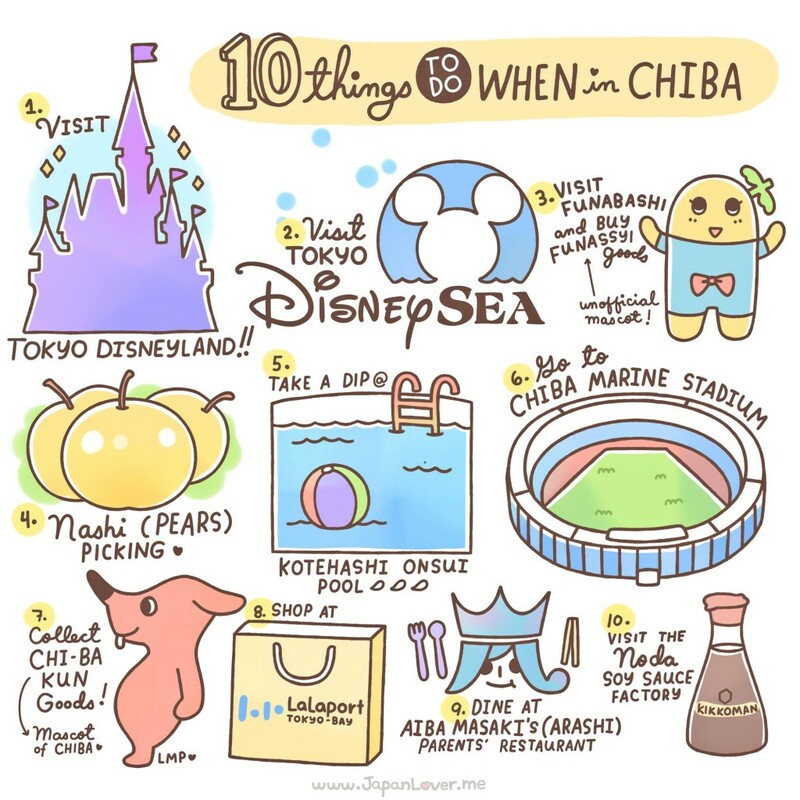 Now, it’s totally a given and one of the best things to do for sure, but just remember to not forget about the little towns along the way. Iceland has a whole host of rugged towns that I just know you’ll fall in love with. Vik is the second largest and one of the best towns in Iceland (particularly, on the south coast) and is a great spot to stop when driving around the countries ring road. Here, you’ll find a few tasty restaurants like Berg, which serves the best Arctic char in the south of Iceland and make sure to finish off with some Icelandic skyr for a sweet treat. 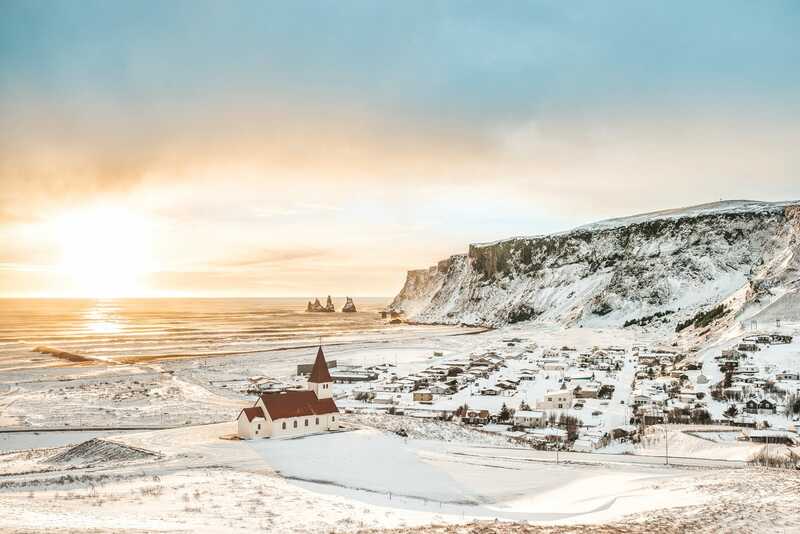 Whilst in Vik, make sure to spend some time at; Reynisfjara Beach, Black Sand Beach, the stunning Dyrholaey and see the Myrdalsjokull Glacier (which is relatively close by). Oh, and don’t forget, It’s also home to Vik church that looks stunning against the backdrop of the mountains behind it. Yes, I know, technically Reykjavik is a city and not one of the towns in Iceland… but I just couldn’t resist including it. 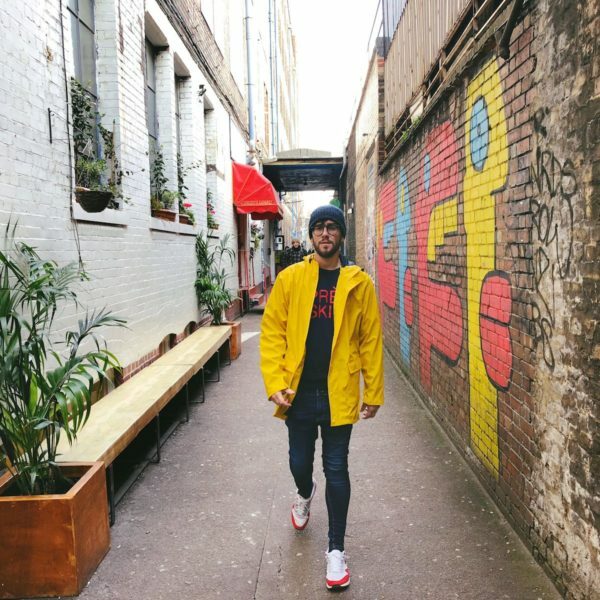 There’s plenty to do in the city and I’d recommend around two days in the capital exploring some of the best that Iceland has to offer. for a lovely gift or a treat for yourself, pop into the Handknitting Association of Iceland based on Skolavoerdustigur in Reykjavik. Here you’ll find loads of home-made, gorgeous knitted goodies that are soooooooooo cute. 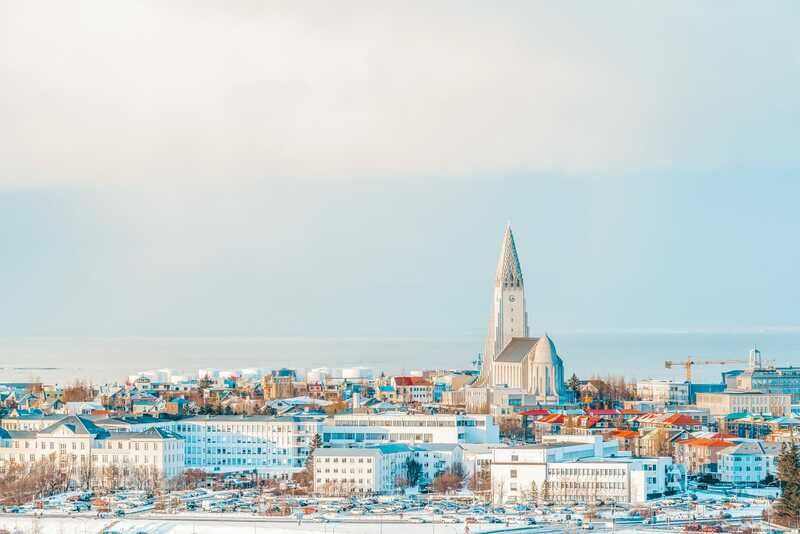 Whilst you’re in the city, make sure to visit the famous Hallgrimskirkja Church, head out into the open ocean (from Reykjavik harbour) to spot some whales and pop into Den Danske Kro Bar for some live music on the weekend. 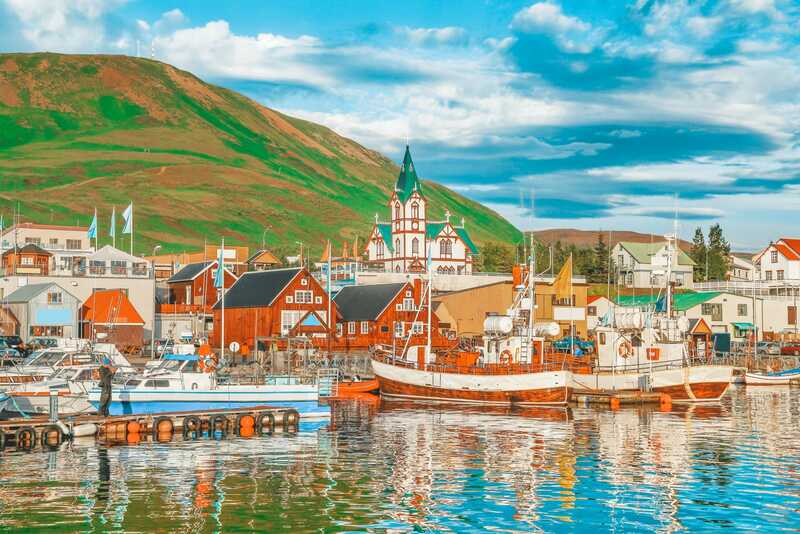 Known as the Whale Capital of Iceland, Husavik is one of the best towns in Iceland to spot whales. Now, it might seem like quite a trek to get to Husavik but It’s the perfect place to visit if you want to head out whale watching (between March-December) where you might be lucky enough to see Humpback, Minke and Blue whales. Yes, Husavik itself is tiny, but well worth a visit if you’re if you’re driving the 250 km long Diamon Circle route. 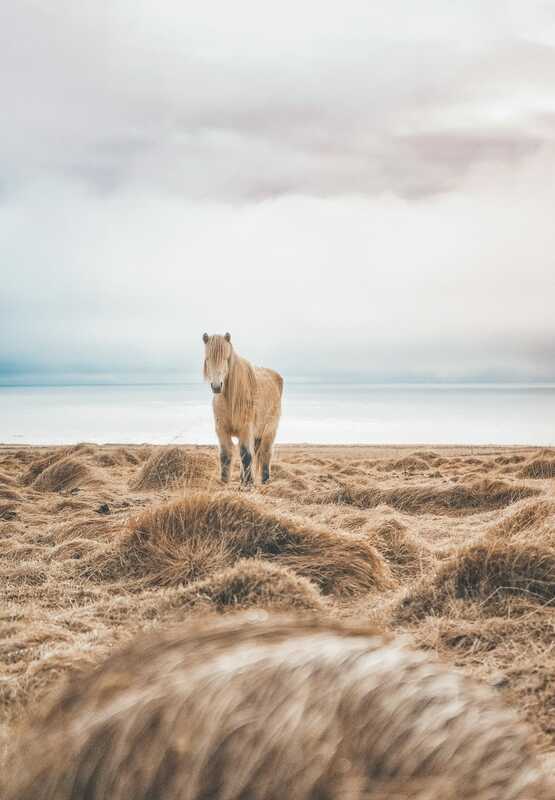 Make sure to visit the Gamli Baukur Restaurant for some tasty grub and ride some of the famous Icelandic horses, just outside the town itself. 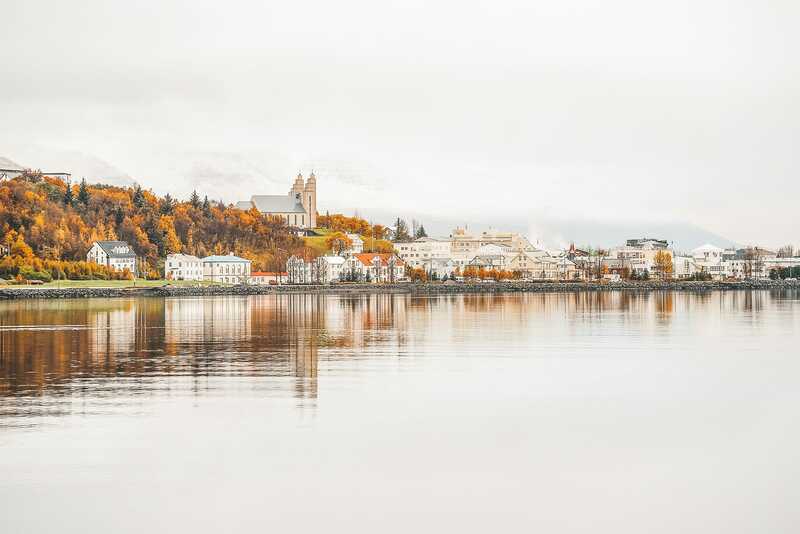 Although technically a city, Akureyri feels very much like a town and one of the best towns in Iceland at that! 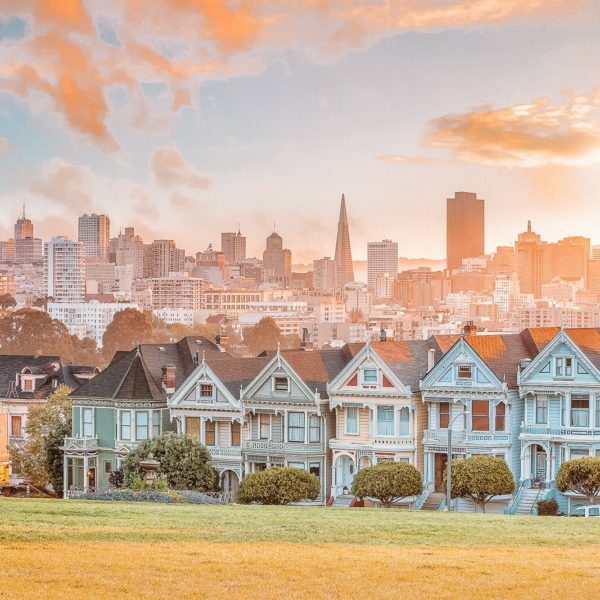 With around 18,000 people calling it home, you’ll find loads of stuff to do. 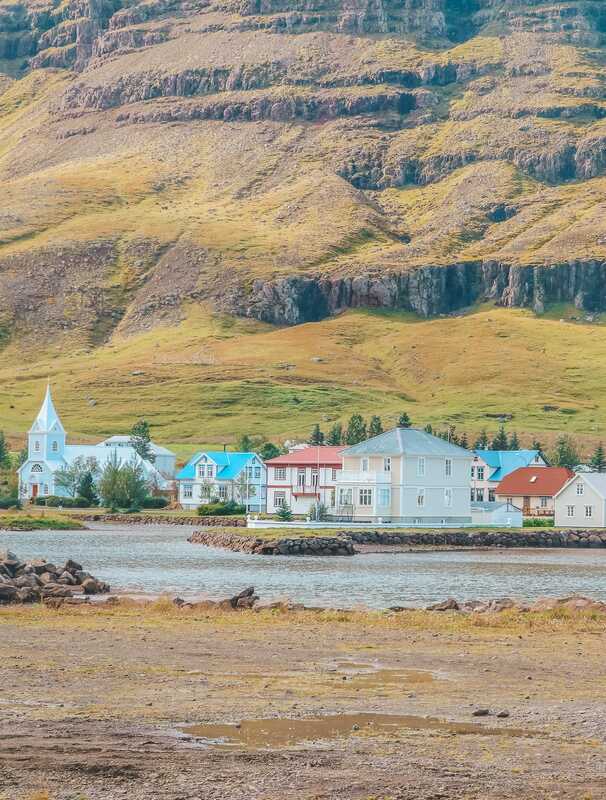 Perched on the north coast, Akureyri is a great stopover for those doing the full ring road circuit with lots of little finds to see whilst you’re there. 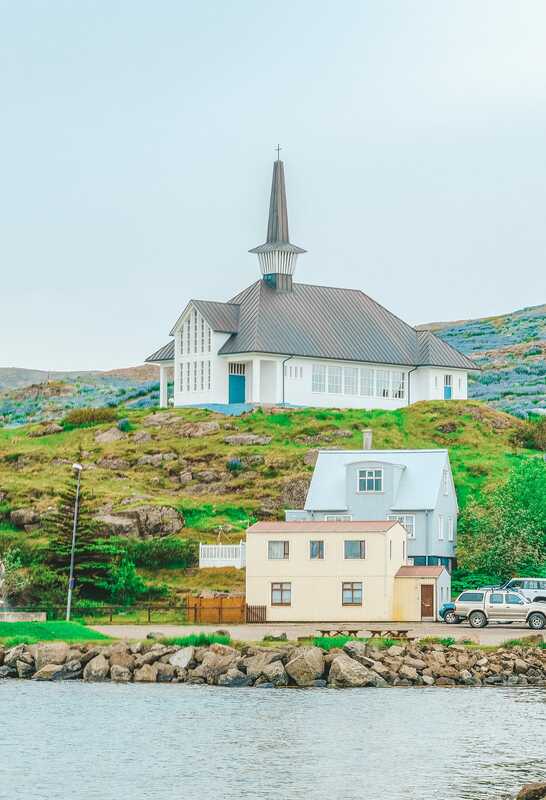 Make sure to stop off at the Laufás Turf Homes, visit the Arctic Botanical Gardens and the stunning Akureyri Church too. 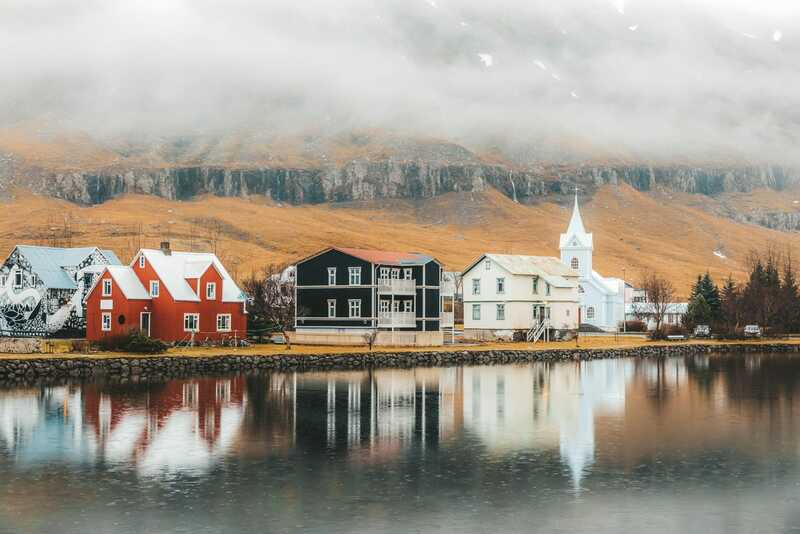 Seyðisfjörður is one of the teeny tiny towns of Iceland located on the east coast Fjords and one that’s quite easy to miss. 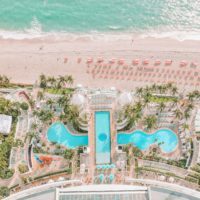 Once here, though, you’ll find epic landscape, grand cliffs and thrashing sea waves that are just so gorgeous to see at any time of the year. Don’t forget to stop off at the Blue Church and Tvisognor, too. 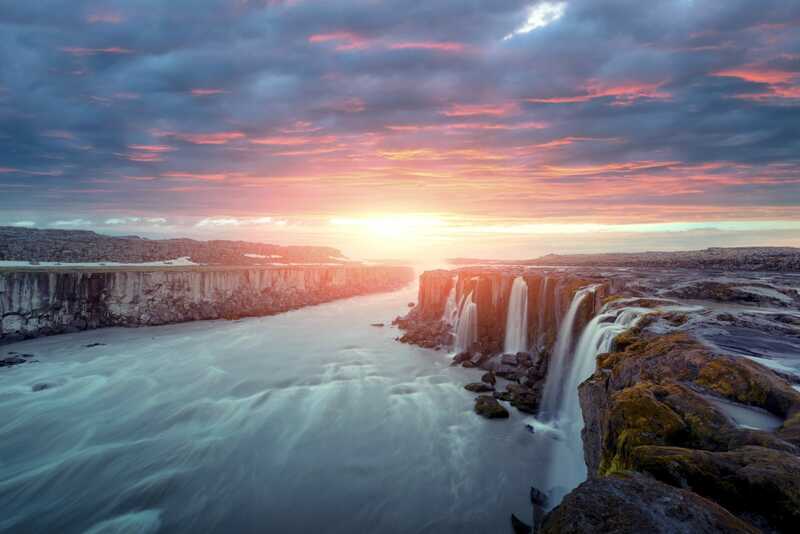 Selfoss sits just over an hours drive south-east of Reykjavik and is home to Olfusa waterfall, outdoor pools and walking trails along the Olfusa River. It makes a great stop on any Golden Circle tour and one that’s dominated by the natural geography that’s all around it. If you visit in the summer months, make sure to see the cute Sumar á Selfossi festival that involves lots of homemade goodies, colourful ribbons and fireworks. It’s so much fun and you really get to see why Selfoss is one of the best towns in Iceland to experience. 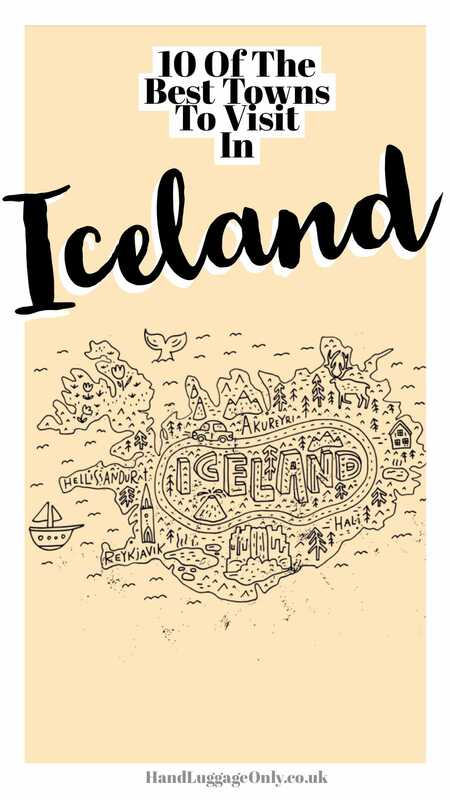 Yes, most people know Keflavik as the ‘airport town’ but it’s so much more than that! 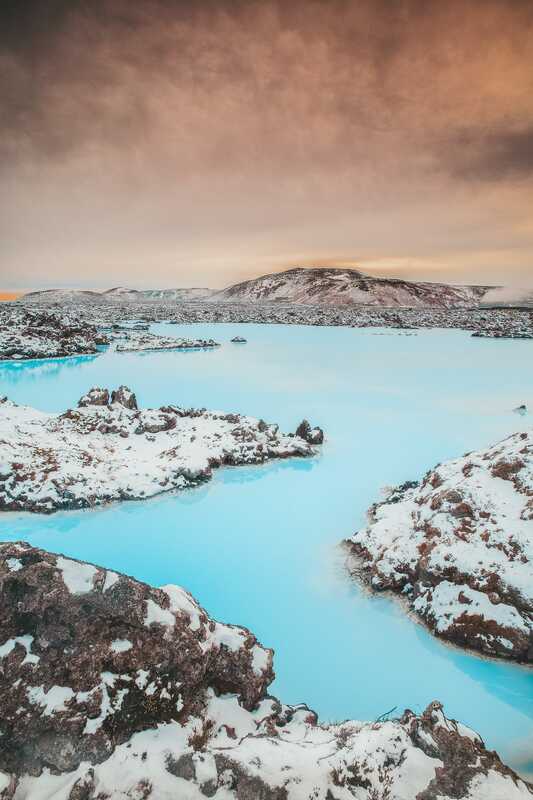 Instead of heading straight into Reykjavik take a 15-minute car trip to the Blue Lagoon and spend a day (or overnight in their hotel) and enjoy the stunning landscape… helping make Keflavik (and its surroundings) one of the best towns in Iceland to experience. Don’t forget, whilst you’re in Keflavik, make sure to see; the Anchor Monument, Stekkjarkot and Viking World (if the weather takes a turn for the worse). One of the smaller but still one of the best towns in Iceland has to be Holmavik. Sitting on Iceland’s Westfjords, a remote area of countryside surrounded mainly by horses and sheep, it’s one gorgeous area to explore. Whilst you’re here pop into the Museum of Sorcery & Witchcraft to learn about the local witches from the 17th century. Hellnar is a small dot on the Snaefellsnes Peninsula that’s considered to be the oldest fishing town in the region. 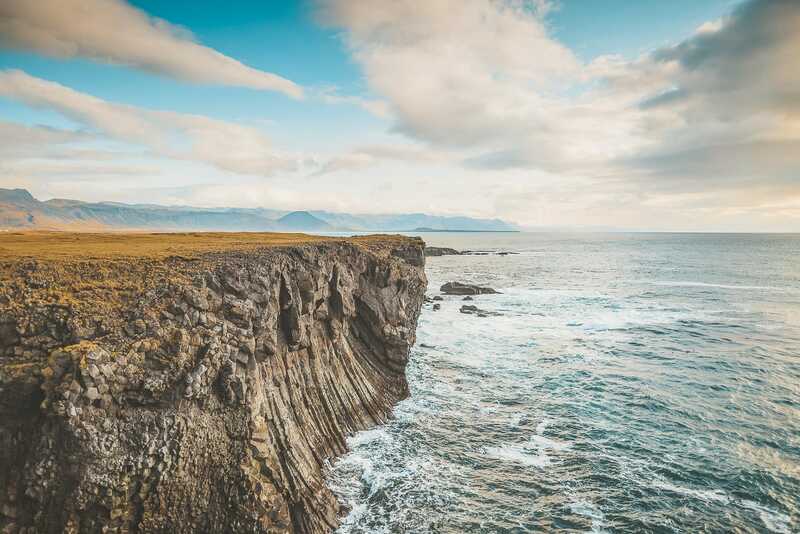 It’s here that you’ll find the totally awe-inspiring Hellnar Sea Cliffs, Budir Black Church and an array of native birds including kittiwakes, gulls and the Arctic Tern. If you’re a bird watcher, you’ll totally love Hellnar as one of the best towns in Iceland to see a huge variety of species. 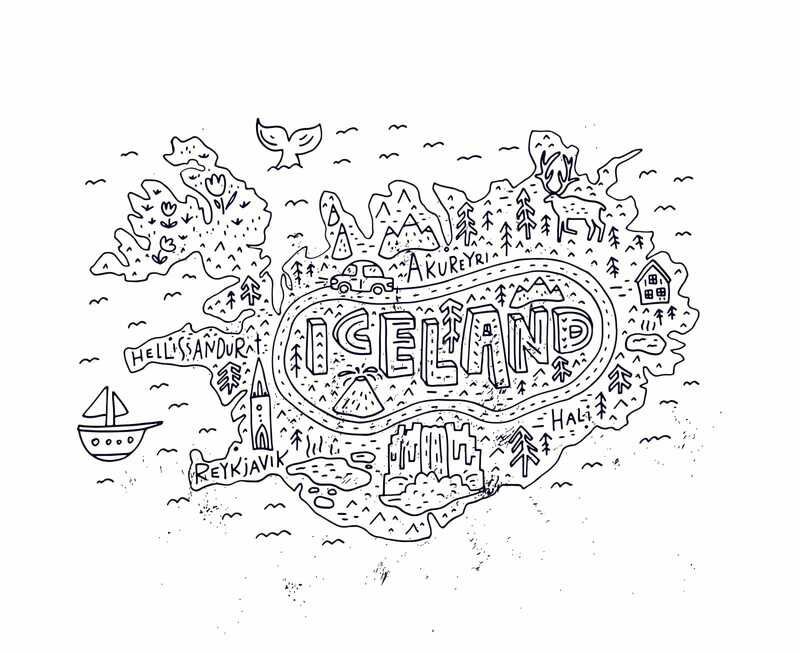 Oh, and don’t forget to head over to the small fishing village of Arnarstapi, too. It’s stunning. 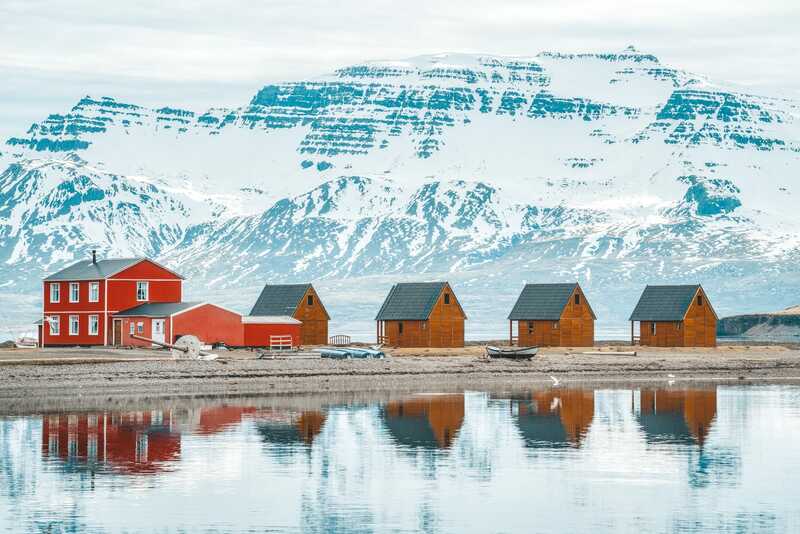 Eskifjörður is a tiny little town perched on the eastern side of Iceland and quite remote compared to some of the larger towns in the south-west. Once there, pop over to the relatively near Mjóeyri where you’ll find the cutest little guest house and charming residence that has the best views of this area of Iceland. It almost feels like another world!